Andrea MacDonald joined Strathclyde Police in 1990 rising through the ranks from Police Constable to Inspector, working in various roles within the Glasgow and Lanarkshire areas and Force Headquarters. During her career she undertook a BA in Policing Studies and a Master’s in Community Safety, becoming the first Police Officer in Scotland to achieve this academic qualification. In 2009 she was elected as the Inspectors Federation Representative for her Division. Thereafter in January 2010 she was elected as the Vice Chair of the Strathclyde Police Federation Joint Branch Board and as Chair of this Board in February 2012. 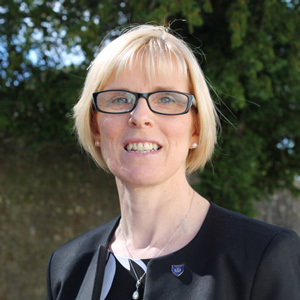 She became the Chair of the West Area Committee of the Scottish Police Federation following the establishment of the Police Service of Scotland in April 2013. In August 2016 she was appointed as the Vice Chair of the Scottish Police Federation and on 1 January 2017 took up her new role as the Chair of the Scottish Police Federation. “Policing is a job like no other and as has been said time and again, when there is danger Police Officers run towards it whilst others run away. The duty to protect our communities is deeply ingrained in the members of our Police services even though they know it could lead to the ultimate sacrifice.